Looking for the perfect appetizer to make for your next party? Look no further! This recipe is delicious and always gets rave reviews! And the best part is it's quick and easy to make. I made this for my sister's baby shower a few weeks ago. 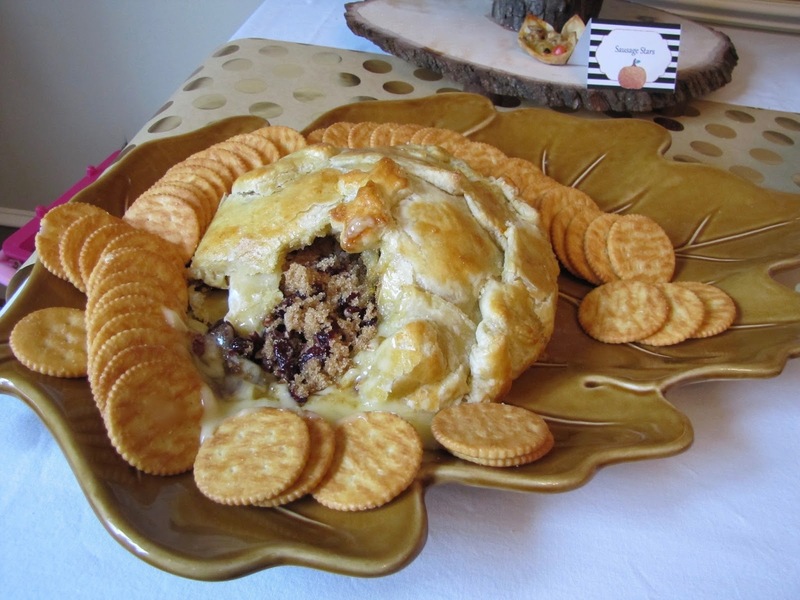 It's a little more fancy than your average cheese ball and looks great on a pretty platter! Note: For this shower I used a 14 oz brie wheel instead of an 8 oz. So I doubled the recipe and used two pastry sheets to cover it. 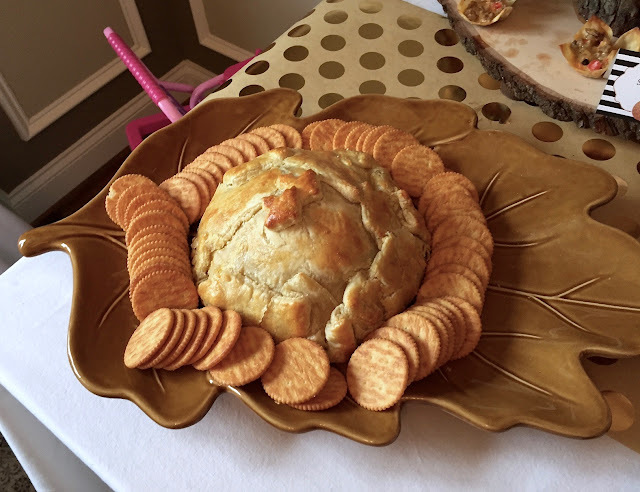 I just placed the second puff pastry on top of the Brie and turned up the edges of the one on the bottom and sealed them together.